A richly flavoured 18 year old that has been double distilled at Springbank and was made using heavily peated malt. Aromas (without water) A complex nose: Sweet fruits, citrus, peaches and orange zest at first before a gentle earthy peaty aroma reveals itself. Flavour Rich and very, very tasty. Well balanced. Dark chocolate, creamy coffee and gingerbread to the fore, followed by rhubarb and vanilla custard. Finish: Long and sweet, a hint of typical Longrow peat smoke combined with more chocolate and some dried fruits. A pungently smoky single malt with aromas reminiscent of wet bonfires, then some flavours of poached..
A fruitier expression of Longrow, which is Springnbank distillery's smoky single malt. 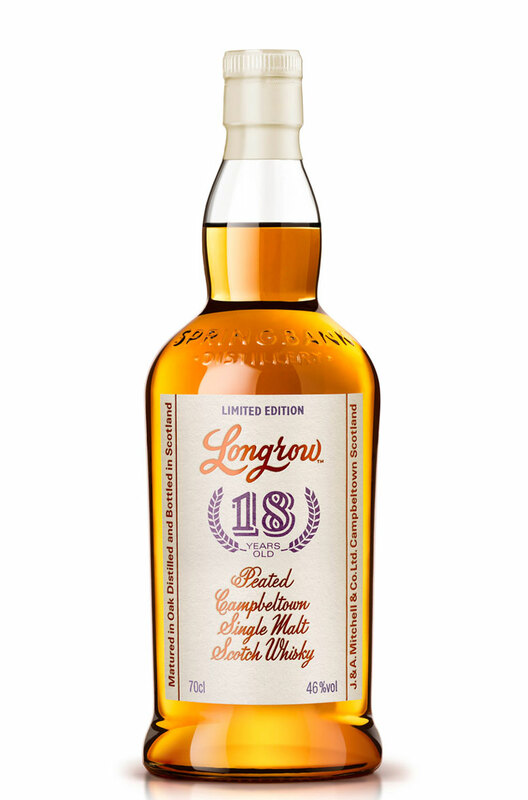 This rele..
A super expression of Longrow single malt, Springbank's peated expression. This was initially ma.. The latest edition of the Longrow Red, is a heavily peated Campbeltown single malt aged initially in..